EXPEDIA is slashing prices of hotel stays in Spain and beyond by up to 90% this summer. The travel booking site is offering the bargain to anyone who downloads the Expedia app where they will be sharing the coupons that you can claim. Bargain hunters will have to download the app – available on Android and iTunes – and be ready at 9am TOMORROW (April 20), when the sale kicks off. The company is also launching a a four-day extravaganza of offers both within the app and on the website for its Semi-Annual Sale . There will be a huge range of deals on hotels, car rentals, cruises and activities, as well as flight and hotel packages. These will include up to 50% off hotel bookings on the website , £750 off £1000 package holidays and £50 off £200 standalone hotel coupons. The travel dates included range from Friday 20th April through to Friday 31st August 2018. The sale ends on April 23. John Morrey, SVP Brand Expedia said: “Summer is one of the busiest travel periods, both domestic and international, and prices tend to go up as we get closer to that peak time. “Getting an early start on planning and booking can make a huge difference in terms of savings and availability for your perfect trip. 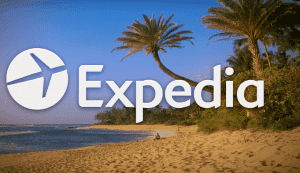 Expedia in the USA collects and retains personal data, including credit card numbers. They share this.